September 12-13, 2014. Yalta. Crimea. 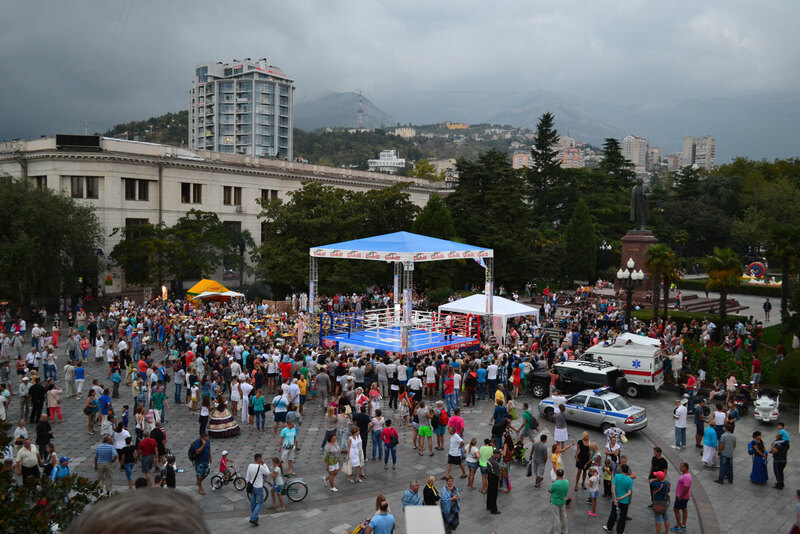 In September 12-13, there was the final championship of Eurasia in professional combat sambo on the embankment of Yalta. Sportsmen from Ukraine, Russia, Kazakhstan and Uzbekistan fight in the final of the tournament. Within two days tourists of Yalta could see the uncompromising battles. The magnificent show with titled fighters, champions of the world, Europe and Asia. 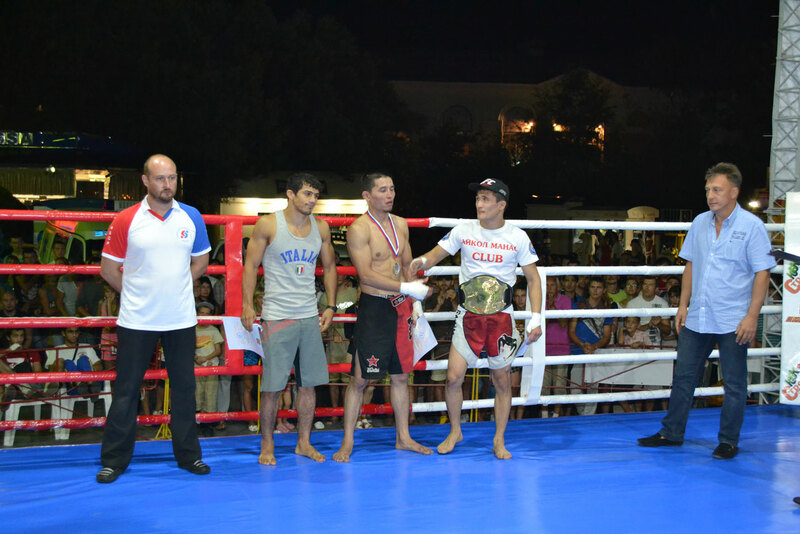 In the weight category of 57 kg won Tahir Ulanbekov (Russia). 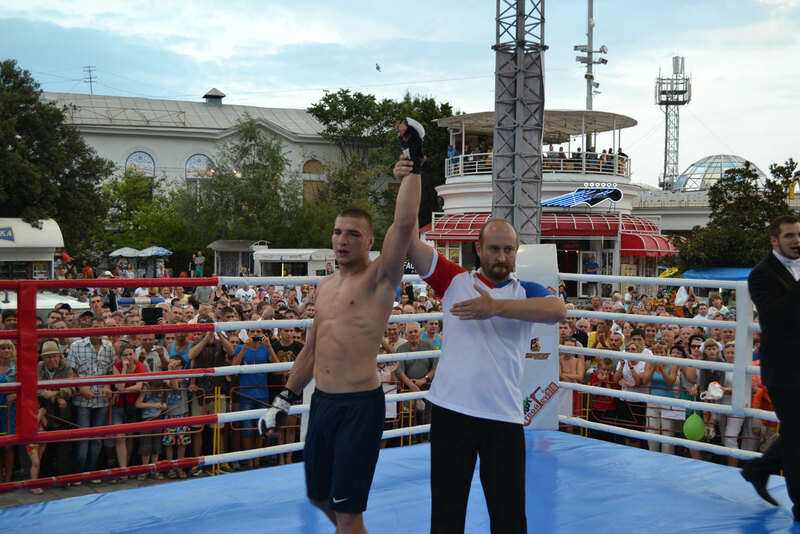 In the weight category of 68 kg won Kasum Kasumov (Russia). The champion of Bellator, world champion in combat sambo, champion of Russia in Combat Sambo Magomedrasul Khasbulaev (Makhachkala, Russia) met world champion in combat sambo, champion of Ukraine in combat sambo Dmitriy Parubchenko (Kiev, Ukraine) in the final battle in the weight category of 74 kg. In stubborn two rounds fight more experienced Magomedrasul Khasbulaev (Makhachkala, Russia) won Dmitriy Parubchenko by points with the judges decision. But Dmitriy Parubchenko was awarded a cash prize for the will to win. The three-time world champion in combat sambo, champion of Eurasia in hand-to-hand fighting, champion of Russia in combat sambo, world champion in MMA (version M-1) Shamil Zavurov (Makhachkala, Russia) fight with the world champion in combat sambo, European champion in combat sambo, winner of the European Cup in combat sambo, champion of Ukraine in combat sambo Yaroslav Amosov (Kiev, Ukraine) in the final battle in the weight category of 82 kg. 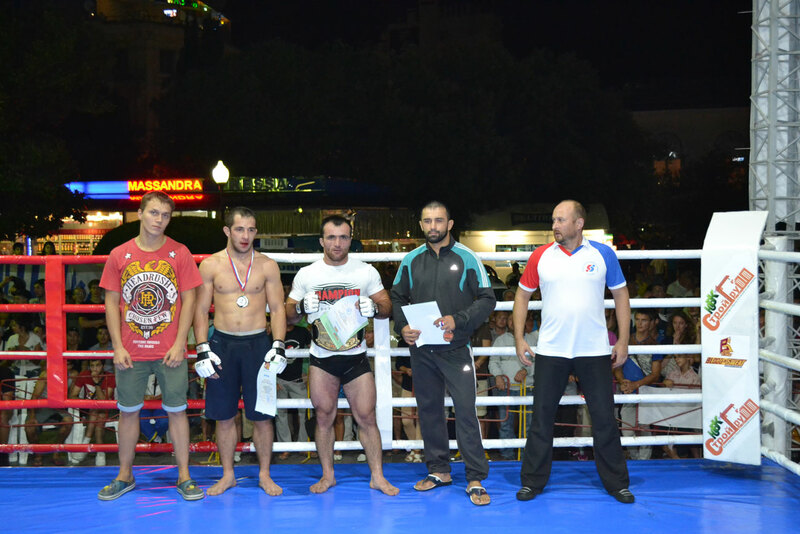 Yaroslav Amosov (Kiev, Ukraine) won with rear naked choke in a very intense and spectacular battle in the second round. 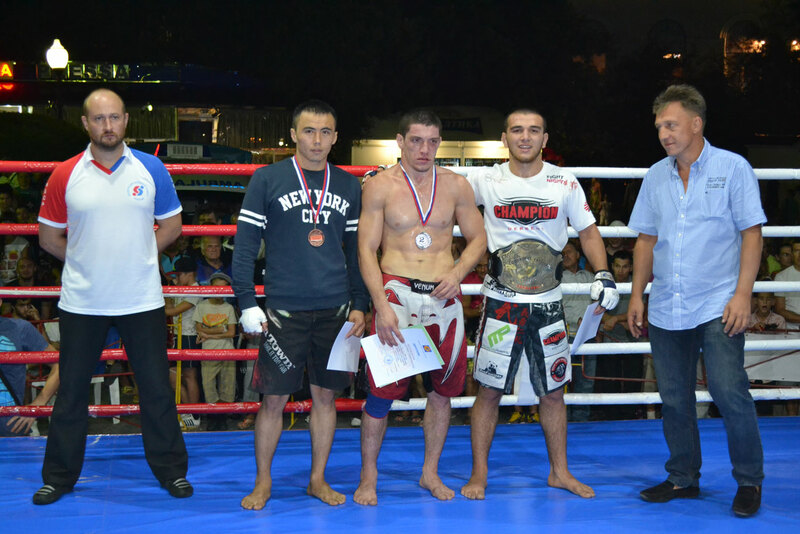 Yaroslav got the belt and the title of Eurasia professional combat sambo champion. He also won the grand prize of the tournament – the one-room apartment in the city of Yalta. The European champion in combat sambo, champion of Russia in combat sambo – Sultan Algiev (Makhachkala, Russia) met the champion of Ukraine in combat sambo Aleksey Kharchenko (Zaporozhye, Ukraine) in the final battle in the weight category of 90 kg. Alexey Kharchenko won in the first round by submission to the feet and became by the champion of Eurasia in professional combat sambo. Abdulhalik Magomedov (Russia) won in the weight category of + 90 kg. world champion in combat sambo, vice-champion of Eurasia professional combat sambo - Dmitry Parubchenko.